Ah, prom. As we look back and remember the good, the bad, and the ugly, we also have fun seeing how today’s high schoolers handle the hyped-up event. While some teens do all kinds of crazy things for prom (like asking out Emma Stone), there’s one high schooler who may just have killed the competition when it comes to unusual prom happenings. 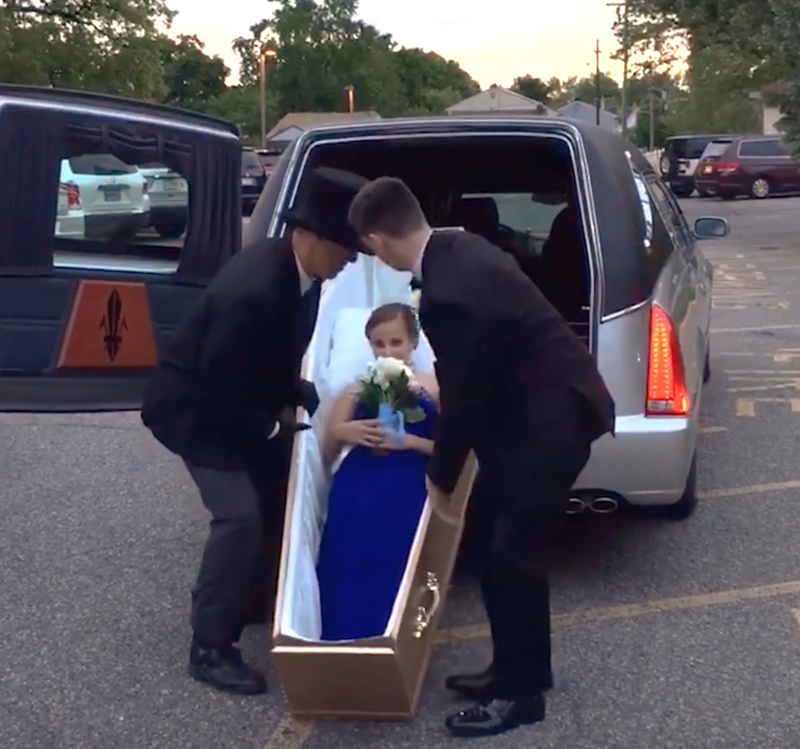 That’s because this teenager went where no goth has gone before: Megan Flaherty arrived at junior prom in a coffin. And yes, that coffin was actually in a hearse. The junior at Pennsauken High School probably made the most dramatic entrance in the history of the school! While the car may just look like a weird limo, it isn’t. And thanks to the help of her date and driver, Megan slid out of the car, coffin and all, making an entrance that will be talked about for years — by ghosts and mortals alike. 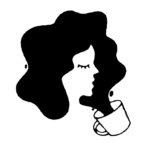 "Megan decided about a year ago that this is the profession she will enter into," Susan wrote. "She has already made her choice of a school. She has already donated her time to helping in funeral services. The hearse driver is her mentor. No disrespect meant." Megan Flaherty didn't show up in a hearse to her prom just to be funny, she's is an aspiring funeral director who thought arriving in a coffin would be fun. We love that Megan committed to this and went for it! The only thing that would have made it even better is a Morticia Addams-style prom dress.